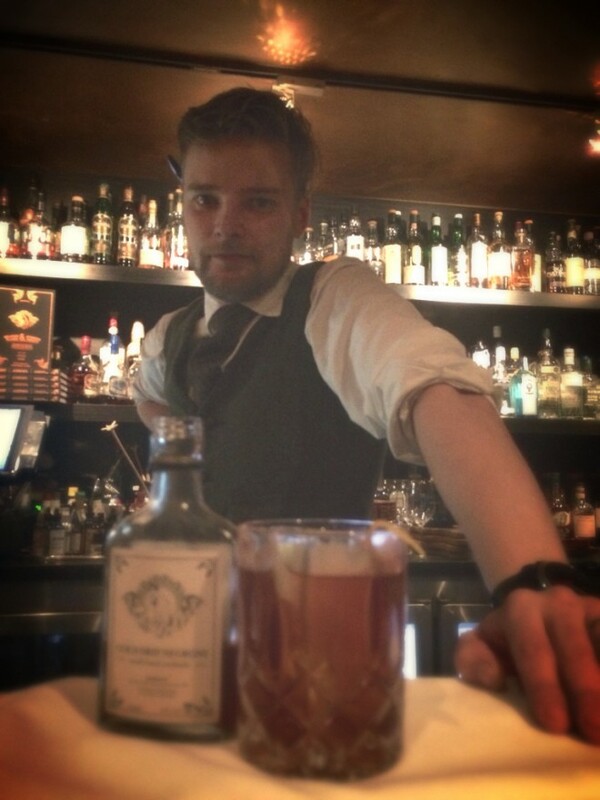 My name is Dr Phil Gandevia from Eau de vie Sydney and I’ve been bartending for over 15 years now. I first became a bartender, because my girlfriend at the time told me I needed to get a job! She liked nice things, and I needed to pay for them. I also needed to pay for my university studies, so bartending initially started out as a means to an end. But I dislike mediocrity in anything and believe you should strive to be the best in whatever it is you do, so I remember thinking if I was going to do this, I was going to do it well. I chose cocktails, as it allows you to make something truly unique and special for a guest. I’ve done it here with the Eau de Vie Apothecary (it is just before the entrance of Eau de Vie). It’s similar to here, but with a very limited cocktail list. I use lots of beakers, test tubes, liquid nitrogen and smoke. It’s very theatrical, unusual and unique, with music and ambience to match. I’m always interested in different liqueurs. I know base spirits inside out and back to front, but for me it’s about the modifiers and how we can use them in classic drinks and interpret them in new ways. Learning how to use these more subtle flavours is when you can paint interesting canvasses. It’s very simple… a good cocktail is one I want to have another one of. At the moment I am obsessed with using vegetables in drinks, I think they give unique flavours. I’m always looking to chefs like Alain Ducasse for inspiration. You have to go to Tokyo and visit an interesting bartender called Gen Yamamoto. He serves degustation cocktails using only Japanese and seasonal products.